﻿Eric Tom has served as Executive Vice President Global Sales for International Game Technology (IGT) since June 2012, where he is responsible for the developer’s global customer base. He previously served as Chief Operating Officer for the company from 2010-2011 and as Executive Vice President North America Sales and Global Marketing from 2009-2010. Prior to joining IGT, Tom held various management positions at Force10 Networks, Broadband Interactive TV, Qwest Communications and Sprint. 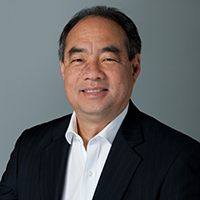 He earned a Bachelor of Business Administration from the University of Hawaii and an MBA from the University of California, Berkeley with an emphasis in corporate finance.